An exciting new design to enhance your outdoor dining experience. Easy to put together, you'll receive all fixings and full instructions, so you can assemble it quickly and simply and start using your table in no time at all! 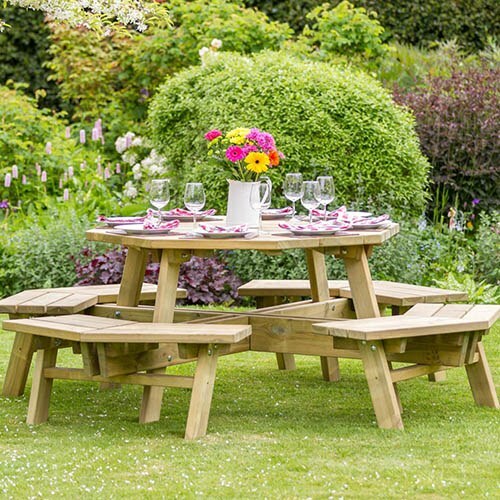 The Alex Octagon Picnic Table is different from many other tables as it subtly strays away from the traditional with it's octagon shaped design. The table can seat up to four people and has a parasol hole ready for those hot sunny days. Protected against rot for 10 years, you can guarantee that this product will last and remain to be a beautiful feature in your garden.